Selling a non-running vehicle is now completely simpler with the car removal experts at A1 Malaga Auto Dismantlers. 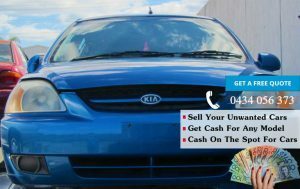 No matter, how old your vehicle is and which model you are owning, we aim to offer you same day services, instant cash and free removal of your Scrap cars, Vans, Trucks, SUV, Ute, 4WDs and more. As a fully licensed and insured scrap car removal buyer, we ensure our customers attain fair cash for their unwanted vehicle. 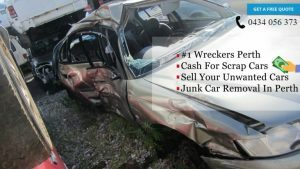 We Offer You Gratifying Money For Your Damaged Vehicle Today! When it comes to selling your broken and second-hand vehicle, our staff is the one that is always ready to help you, make a great deal on your unwanted car and disposed of it quickly. Most of the car wreckers in Perth offer only some form of car towing services without utilizing proper tools and equipment. That is why we are the best for you as we ensure that your car is transported safely with the use of proper equipment. Our expert team avoids all types of time- consuming procedures, only believe in quick payment methods and ensures a great peace of mind to their clients with timely transportation. Either it is your Nissan, Audi, VW, Holden or truck, we are happy to make a purchase of all. Being a trusted car removal Perth company, we are highly specialized in removing all kind of unwanted cars/trucks at the required time and place as per your convenience. All you need is to call us at (08) 9249 3177 and we will give you an instant cash quote.